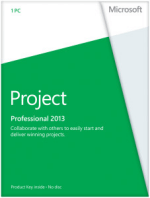 Our Microsoft Project training courses are delivered by Microsoft Qualified trainers for all versions of MS Project. Each course is one day in duration and we offer two levels of training - Introduction+Intermediate and Advanced. Public scheduled courses are held at one of our four London training centres. You can expect small class sizes in a modern, comfortable air conditioned training suite. We also offer training services for closed company, on-site, one-to-one, near site and consultancy. Tailored training can be adapted from our course syllabus to meet your individual needs and requirements. We are a Microsoft authorised testing centre and run one of the UK's most regular MS Project scheduled courses. We offer Microsoft Office Specialist (MOS) certification training and examinations. Also consider our Project management training London courses from our Soft Skills portfolio. Live on-line schedule. We have a highly competitive pricing policy of beating any like for like written training quotation. Our training courses are never cancelled. We believe in continuous innovation and improvement in all aspects of our business model. This leads to reduced costs, increased efficiency and ultimately delivering more competitive course pricing. We evaluate all delegate feedback daily and ensure the careful preparation of all elements relating to training. The feedback is available for review by the management, trainers, delegates and members of the marketing team. This ensures a high standard of course delivery. Introductory Discounts & Offers - Call now! Full Schedule: See all 10 Project Advanced course dates. Bookings currently available until 19th June 2020. Trainer vouchers are now available. Buying in bulk ensures a reduction in purchasing costs and administration time. These are often favoured by high volume or corporate clients. For pricing and availability information about a public scheduled Microsoft Project Training Courses London, please check online or call us. Microsoft Project is designed to assist project managers in developing plans, assigning resources to tasks, tracking progress, managing budgets and analysing workloads. Microsoft's infrastructure is built upon a highly project-centred environment, making Microsoft the ideal author of project planning software. The most efficient project-centred organizations are already utilizing the full range of Microsoft Project features to optimize efficiency. However, many more surprisingly don't offer any sort of "official" Microsoft Project training to their project managers. London based companies such as these, as well as companies that are just now exploring a project based business environment, can drastically streamline their processes with training for associates. There are plenty of tools and techniques to be learned. Have you ever noticed how much easier it is to get through a maze puzzle when you start at the end and work backward? This is because there are fewer opportunities to head down the wrong path when you start at the end goal. This same phenomenon is true when accomplishing exceptional business or life goals. When you begin planning from the vantage point of the end goal and your team gains a solid understanding of project planning software, those exceptional goals become much easier to achieve. The reason that the project management system works is that it offers ambitious people a way to clearly define an end result, then work backward to plan the path toward achieving it. Whether it's a sales manager's project to double sales within 90 days, or an office manager's project to cut the amount spent of office supplies in half by next quarter, every person on the team can become more efficient and more successful through a Microsoft Project course. If you're managing people or projects without Microsoft Project, you will likely be astounded at how a few days of Project training will improve your efficiency and organization. After 2 days of MS Project training, you'll have acquired a whole new set of tools for creating task lists, tracking projects, developing and analyzing schedules, and much more. At the advanced levels of Project training, or 3 days of instruction, you'll be developing your own custom project templates, creating and running macros, building forms, and creating custom calculated fields. "Very well paced project training, good balance of set practical exercises and guided exercises Training facilites were also very good." "Very good. I'll start using this tomorrow!" "Did what it said on the tin." "Enjoyed the project training, feel a bit overloaded with info but think once I use it for something relevant to my job it will be fine!" Taken from our Project hints and tips page. To draw attention to a bar on your Gantt chart simply double click it. From the dialogue box that opens make your selection of text and bar modifications. As far as possible avoid fixing the dates of your tasks. For example try to steer of clear dragging task bars in the Gantt chart to move them on the timeline or entering dates directly into the Start / Finish fields. Date constraints such as these limit Microsoft Project's ability to automatically adjust your project whenever you add, remove or modify the duration of your tasks. Instead use the logic in your task dependencies that link your tasks to enable Project to calculate the start and finish dates for you. in the help menu type "Tips" then select "Ask the Project community" this takes you into microsofts site where you can ask questions to lots of knowledgeable people.They make up an online group of experienced Project users who answer questions and provide solutions and tips. When you need to communicate important information to your project staff use Microsoft Project 2003 to send them a note using outlook or an e-mail system. 1.In a task sheet, select the task or tasks which you want to send a project note. 2.On the File menu, point to Send To, and then select Mail Recipient (as Schedule Note). 3.Under Address message to, select the recipients of your note. How do I allow two resources to do the same job and have the duration change based on the fact that I now have two resources instead of one? Can you explain effort-driven? What could the possible problems be for a document that you inherited from someone else where tasks within the document cannot be linked even though there are constraints? After attending project training the answer would really help. How do I place meetings that occur once every three months on to the project plan. I want to place the meetings as a task, but have one task punctuated throughout the project plan with that meeting being held once every three months. I am using Project 2007 and trying to schedule tasks that use more than one resource, for example a meeting that both Joe and Jim need to attend e.g some project training. If I make the duration one day and allocate both resources, the Resource Usage shows Jim allocated for 7.5 hours and Joe allocated for 0 hours, so Joe is scheduled for other tasks that day. If I make the meeting/project training for a specific date, both Jim and Joe are both allocated for 7.5 hours. Any other Constraint Type gives the above results, regardless of the Task Type applied. Staying on top of your projects has never been easier than with our expert instructor led training. Learn how Microsoft Projects Training Oxford can help you to manage your time and resources more effectively and enjoy training from the best. Of course, our training is not purely limited to London and Oxford, we'll travel all over the UK to meet your needs. Here's what our delegates had to say about our MS Project courses.